Central to traditional systems of medicine is the understanding that the human organism is a reflection of Nature- that our bodies are not machines or composed merely of “biochemical gears,” but rather that we are composed of natural forces that exist all around us. That we are a part of the ecological context of the Earth. This perceptual orientation switches not only how we understand a human being, but how we perceive and treat disease, study a medicinal plant, compound formulas, and literally every other facet of herbal. For it anchors our entire understanding and practice of herbalism back into the foundation patterns of Nature itself. In terms of assessing a person, when we Nature within their bodies, we don’t just see a symptom or a disease, we see a deeper level of imbalance within the ecosystem of the body on a vital, or energetic level. Traditionally this is seen in terms of a tissues temperature and moisture qualities (hot, cold, wet, dry). These temperature and moisture patterns are at the root of natural systems, ecosystems, the weather and seasonal dynamics. These are the forces that plants are submitted to in Nature that develops their unique medicinal properties, as well as imbuing them with their own energetic qualities of hot, cold, wet and dry. It is these energetic qualities of the plants that directly shift our internal ecosystem, which determines the ability for our organs, systems, and tissues to maintain their proper functions and structure. Ultimately, this perceptual shift of seeing the human as an embodiment of Nature is a foundational premise of the vitalist traditions all across the globe throughout the history. 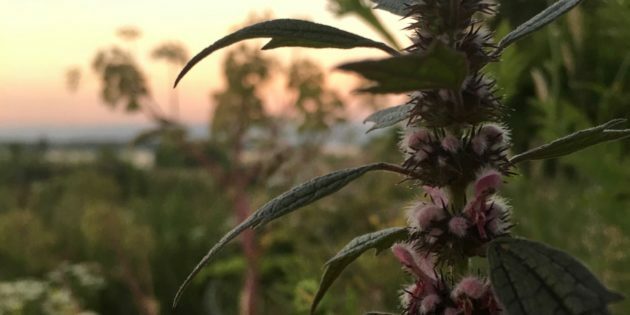 I believe it’s critically important in our modern world, where so many of us feel so disconnected from Nature and herbalism is becoming more scientifically studied, for us to not forget that we are first, foremost and forever students of Nature.